Did you know today is Europe Day? All around the world (but mainly in Europe) people come together on May 9 to celebrate peace and unity on our second-smallest continent. So, to get in the mood, we thought we might celebrate an important partnership we recently signed with the European Union (EU) and the European Space Agency (ESA) to allow more sharing of scientific expertise and to give Australia better access to the space agency’s extensive Earth observation satellite fleet. How do we accurately map the growth of crops and pastures spread over thousands of kilometres? The answer is obvious – we look to the sky. 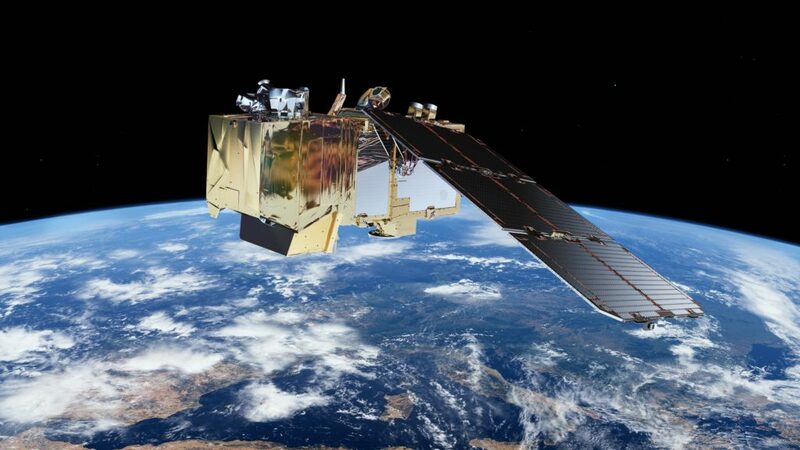 We’re a bit excited about this launch, because thanks to our new partnership we’ve now got access to data from a range of new satellites like Sentinel-1B, which is part of the EU’s ambitious Copernicus Earth Observation Satellite program. By tapping into the Copernicus network, we can view our own patch of earth more frequently – keeping a closer eye on everything from beef grazing pastures and forests, to the growth of crops. The new satellite uses an on-board mapping sensor called a “Synthetic Aperture Radar” (SAR), which can effectively see through clouds and haze – day and night. Up until now, this technology has been routinely used to detect and track ships at sea (including our own Investigator), and map changes in the Earth’s crust due to earthquakes and landslides. This means we’ve been able to turn our attention from tracking large ships in the ocean to watching the growth of vegetation on the ground. In a choreographed high-altitude dance, the increased number of images available from Sentinel 1-B and his older brother Sentinel 1-A give us free SAR data over our crops more often and at higher detail than before. We’ve already begun using the data to map crops and grasslands all over the country. The increased number of free images means our scientists, and our industry partners, can begin to improve their estimates of crop and grassland production, as well as study the significant impacts of drought, floods and frosts across the land. The extra amount of satellite data, however, means we need to get smarter at using this “BigData” for the benefit of those interested in what it can show. 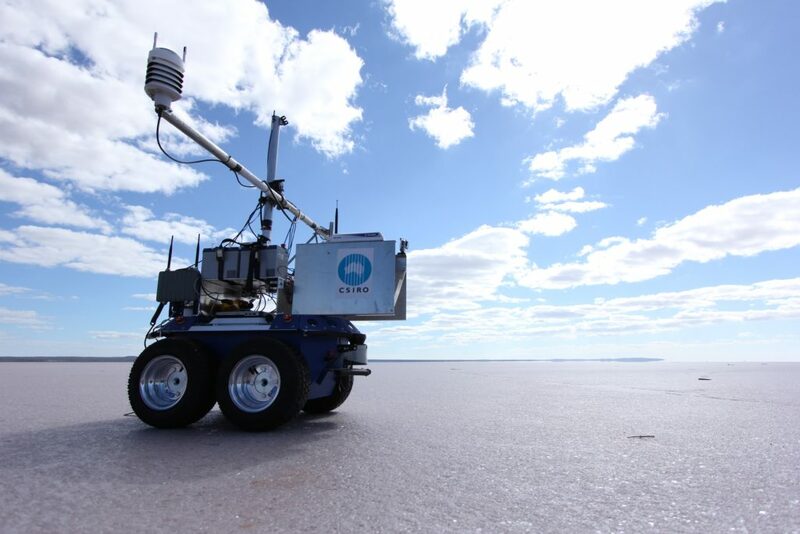 The ‘Outback Rover’, a prototype autonomous vehicle developed by CSIRO, helps to calibrate satellites. A joint project we’re involved in with Geoscience Australia (GA) and the National Computational Infrastructure (NCI) program, is developing a new system for processing satellite and environmental data called the “Australian Geoscience DataCube”, which is expected to help us managed these massive new datasets. The idea is now being embraced by the international community of space agencies. And we’ll be using the information received in many other ways, including feeding into the CSIRO-led global Rangeland and Pasture Productivity program (RAPP), which aims to develop a system to monitor grasslands and rangelands around the world, which are used to grow livestock, and feed an ever-growing global population estimated to reach close to 9 billion by 2050. The Copernicus program is one collaboration being highlighted at the Australian-European Union Innovation evening to be held this week on Europe Day (May 9, 2016). The event celebrates the growing cooperation between Europe and Australia in the use of satellite observation in agriculture, environmental and marine observations as well as resource mapping. For more information on our agreement with Europe and our Earth Observation and Space Science activities, check out our website. Physical and mental efforts needed to undertake these projects must be enormous, yet receive little public acknowledgment. This is likely due to the fact that the press and politicians have no comprehension of that which is involved and the consequential benefits. Interesting endeavours such as this must help keep our scientific and technical experts from drifting overseas. About time that Australia started to pony up some of the costs of these spacecraft programmes if we want to be taken seriously. At the moment, we’re something of a joke as lightweights amongst NASA, ESA, DLR, CNES, UKSA, etc.